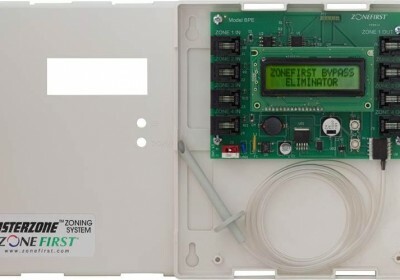 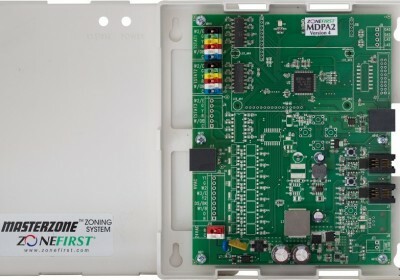 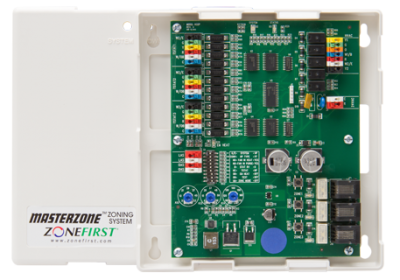 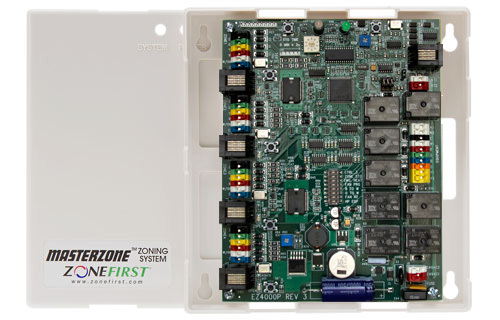 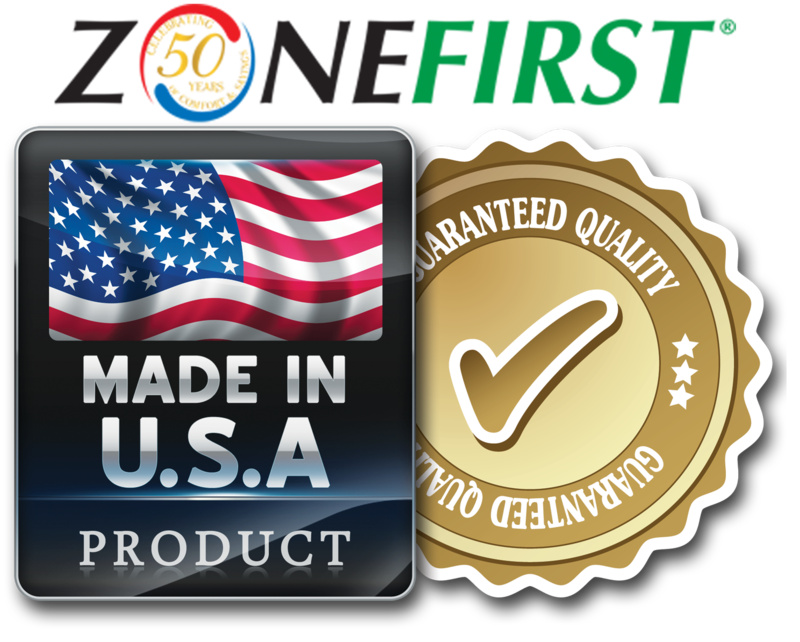 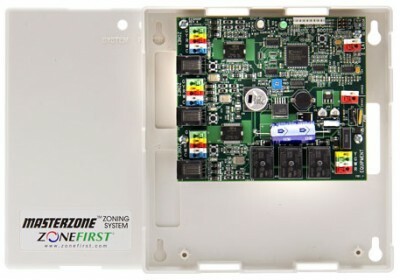 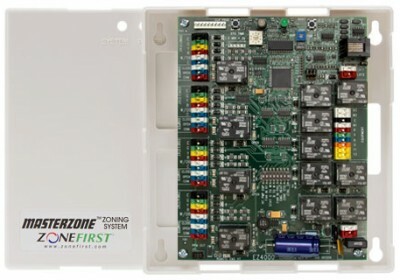 Universal 4 Zone Panel for Heat Pumps, Dual Fuel and Conventional 4 heat/ 2 cool. 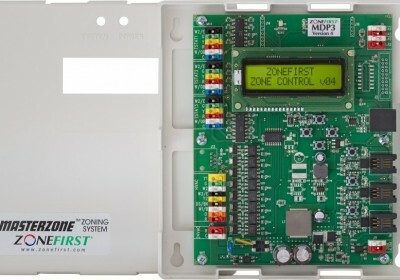 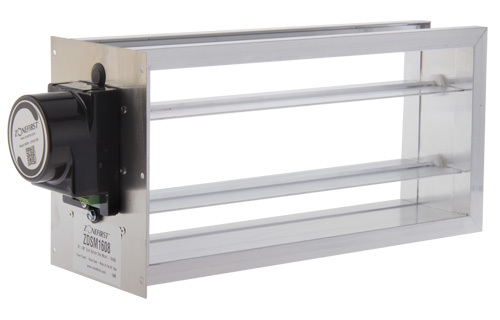 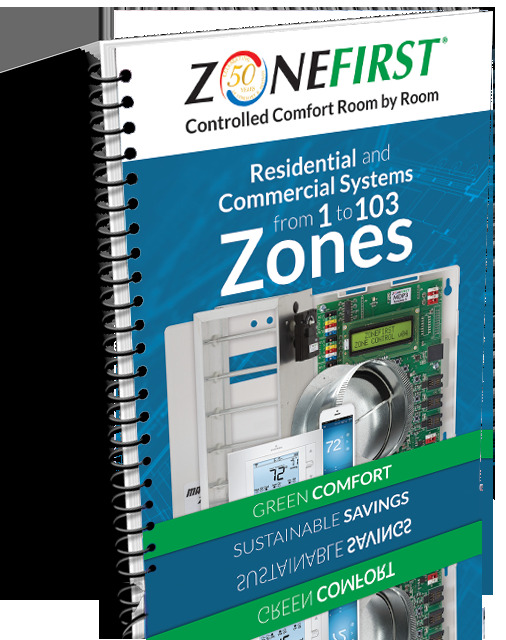 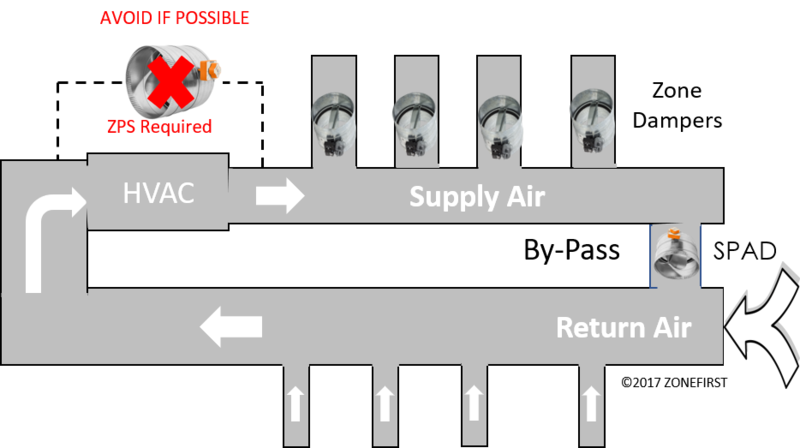 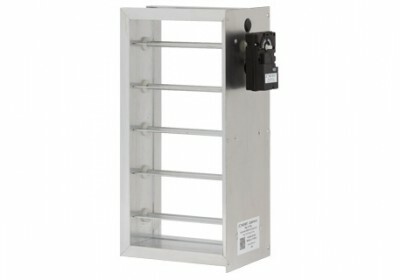 Built in DIP switches that set desired functions for type of HVAC equipment outputs and zone thermostats used. 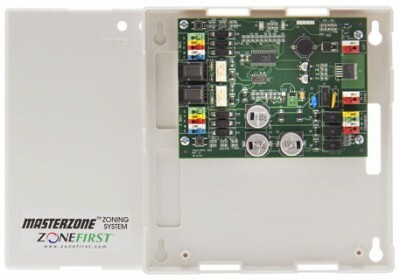 ZPS sensor to provide capacity control of the equipment. 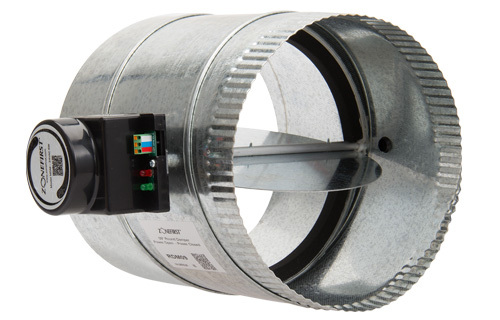 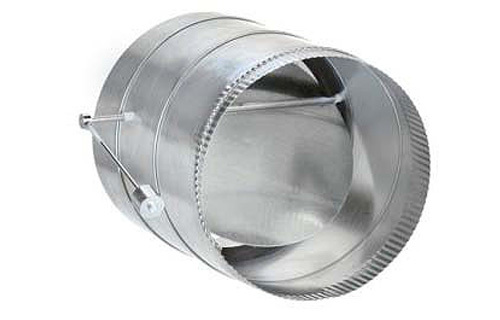 Compatible with any 4/5 wire thermostats. 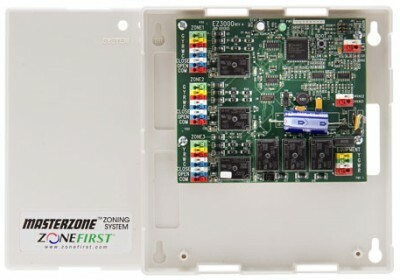 Built in LEDs indicate system status and indicators to show each zone’s call. 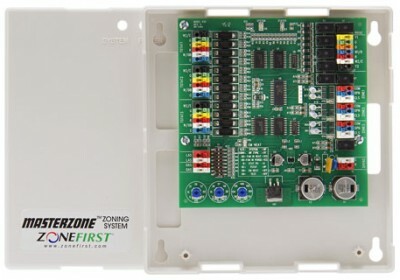 Color-coded, push-in terminal blocks makes wiring simple and fast.